You can facebook it too! Sleep is so rad! It is the best way to stay young. So throw on some jammies and snooze the morning away. I am so exhausted from fashion week that I am so looking forward to just sleeping the night away! 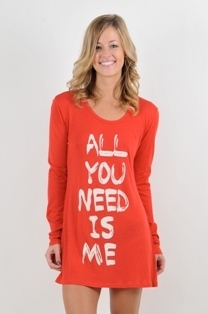 On February 19th, 2011, pajama and loungewear brand, P.J. 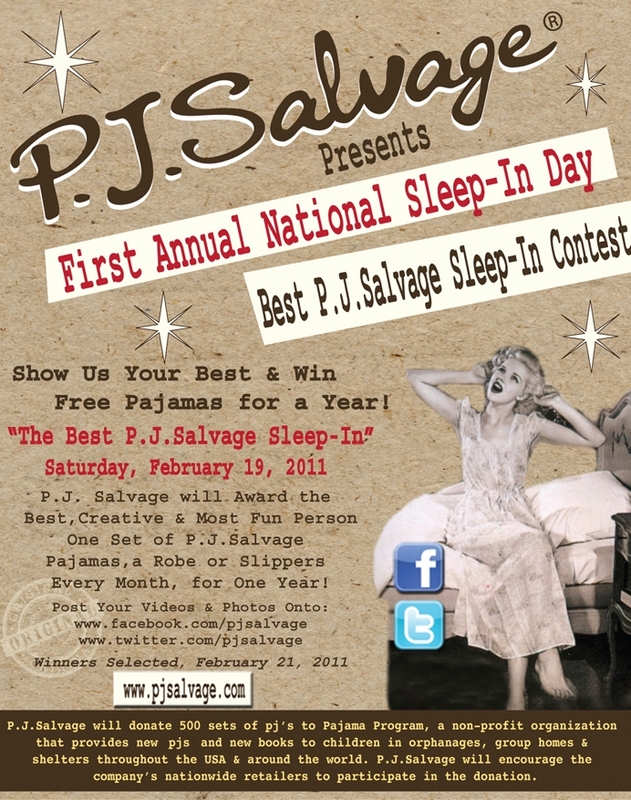 Salvage, will promote the first ever National Sleep-in Day. P.J. Salvage will encourage Americans to take the morning to sleep-in and relax from their every day stresses. In conjunction with slowing Americans down for a morning of rest on National Sleep-in Day, P.J. Salvage will be donating 500 pairs of pajamas to The Pajama Program for children and teens that are living in foster homes and orphanages awaiting adoption. The Pajama Program brings pajamas and books to these children and teens that may never know the comfort of having someone to tuck them in at night.